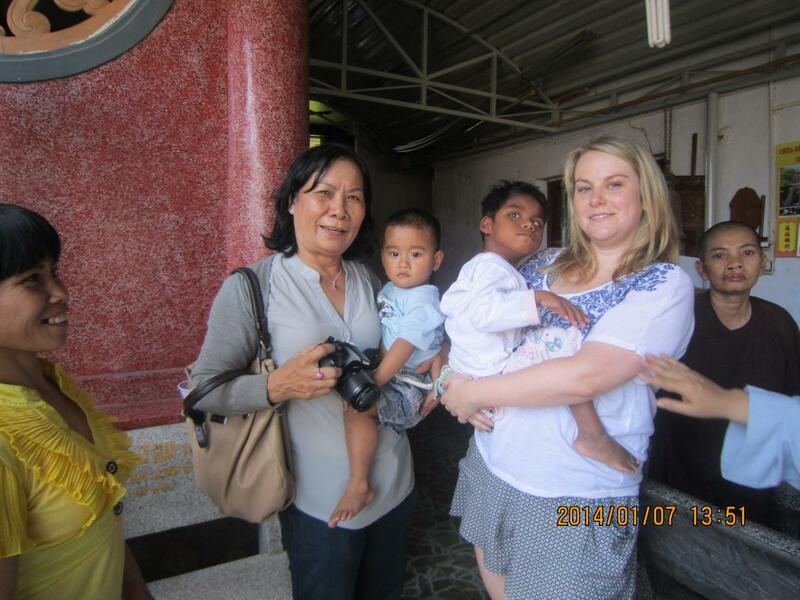 On January 7, 2014 we coordinated visits to 3 places. 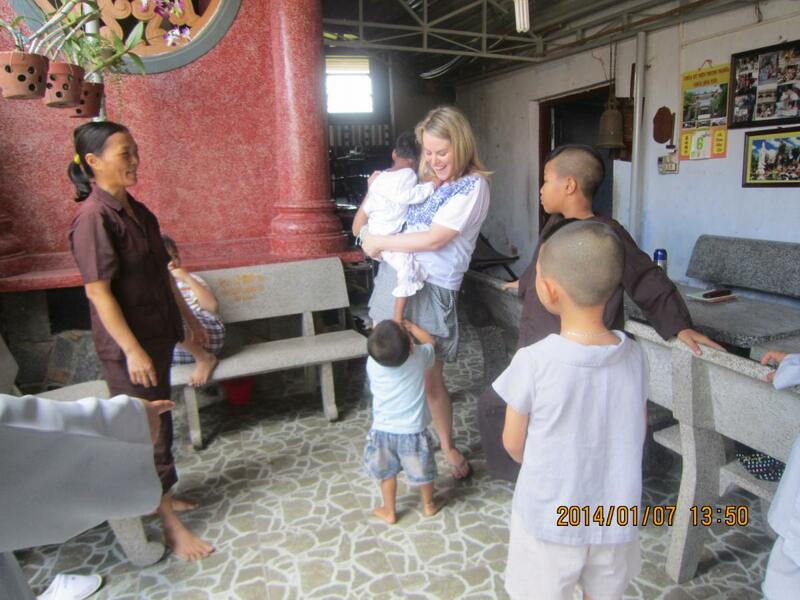 It’s always a joy when Lucette Dillon of the Quan Am Foundation comes to Nha Trang. 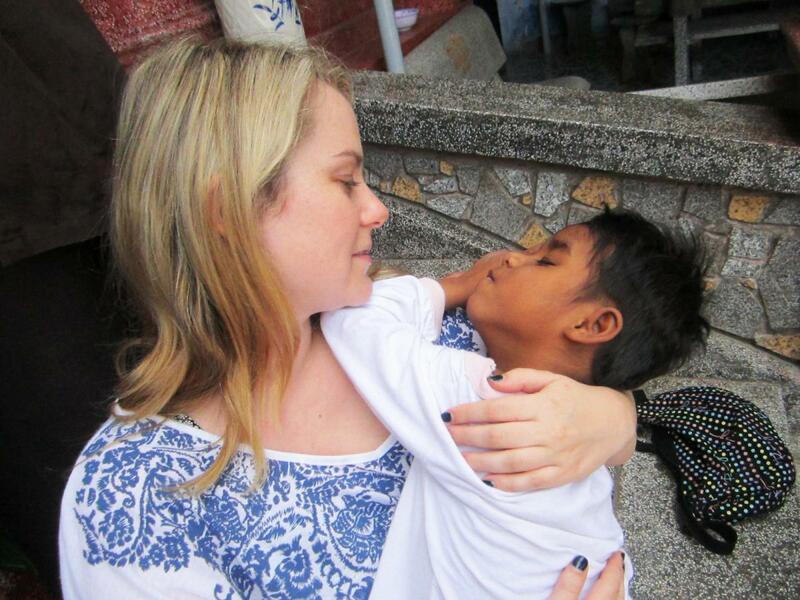 Based in New Zealand, her organization brings aid to those most in need in southeast Asia, and we have been fortunate to work with her on several occasions in the past. Our lead coordinators, Hiep and Ngoc, met with Lucette on her arrival in Nha Trang and helped coordinate all of the preparations for the visits. Lucette had already brought joy to the Loc Tho Charity School and Orphanage several days previous, and our team was ready for a full day of visits with the children. 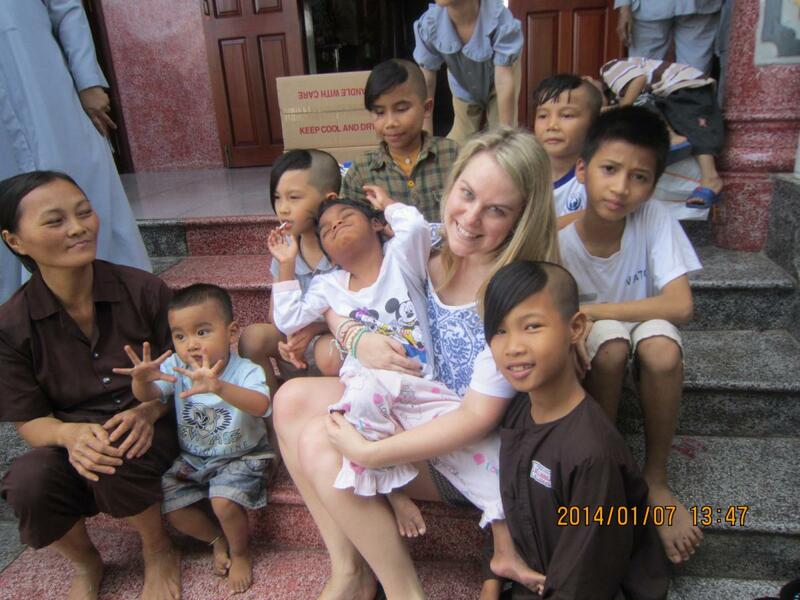 The first stop was the Phu Quang Orphanage. 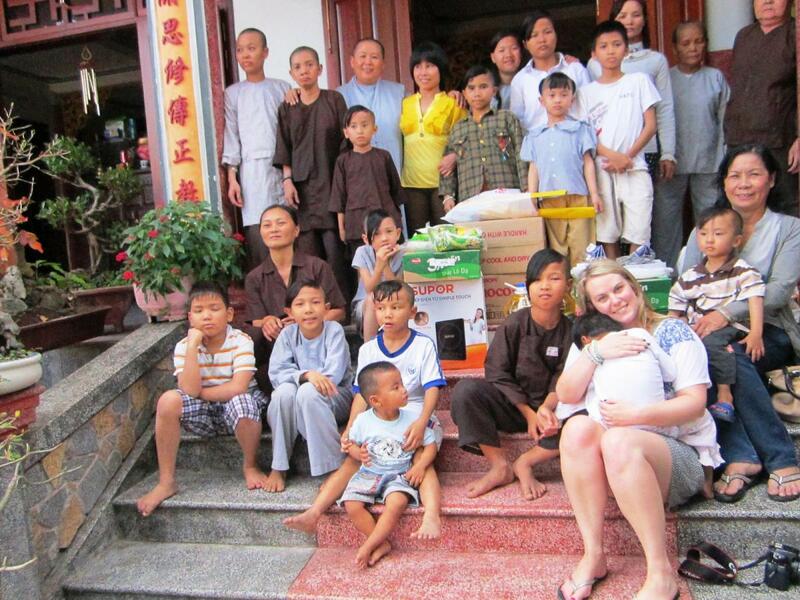 Set down a dusty lane in the countryside, Phu Quang cares for about 30 orphans. 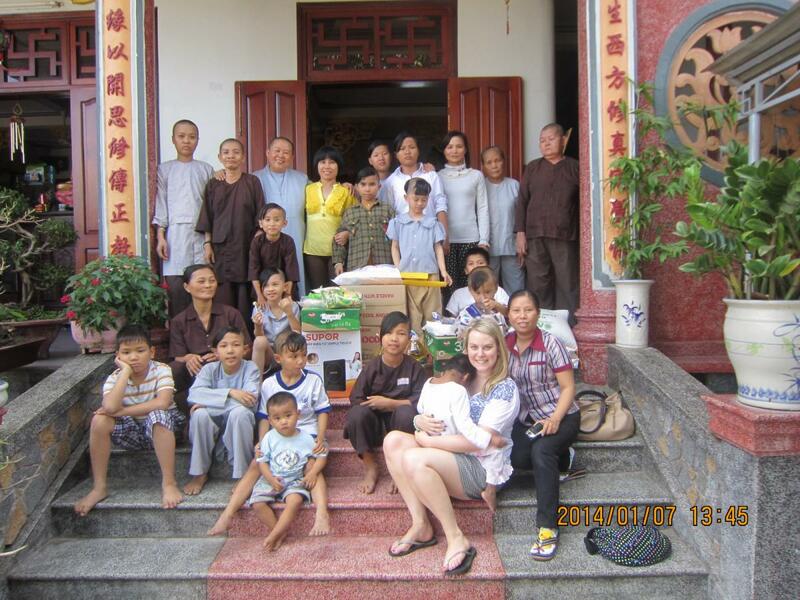 We had contacted Sister Dieu An before the visit, and brought foodstuff, snacks, and gifts for the children. 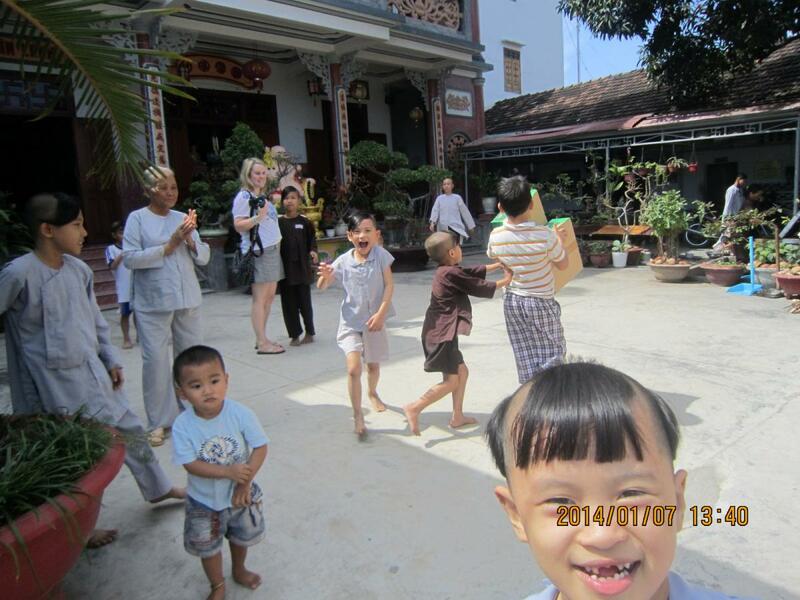 The orphans at Phu Quang are rambunctious and adorable, and it’s always a fun place to stay a while. 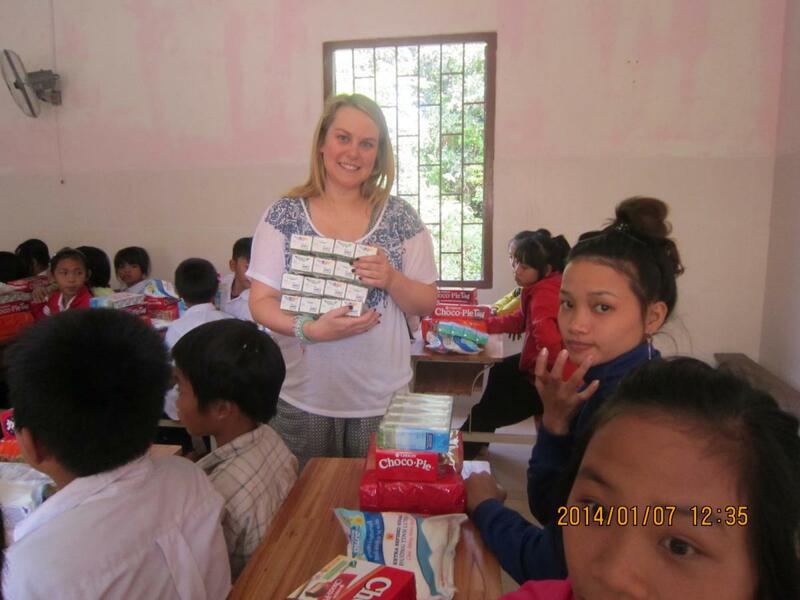 The second stop was the Hoa Sen Charity School. 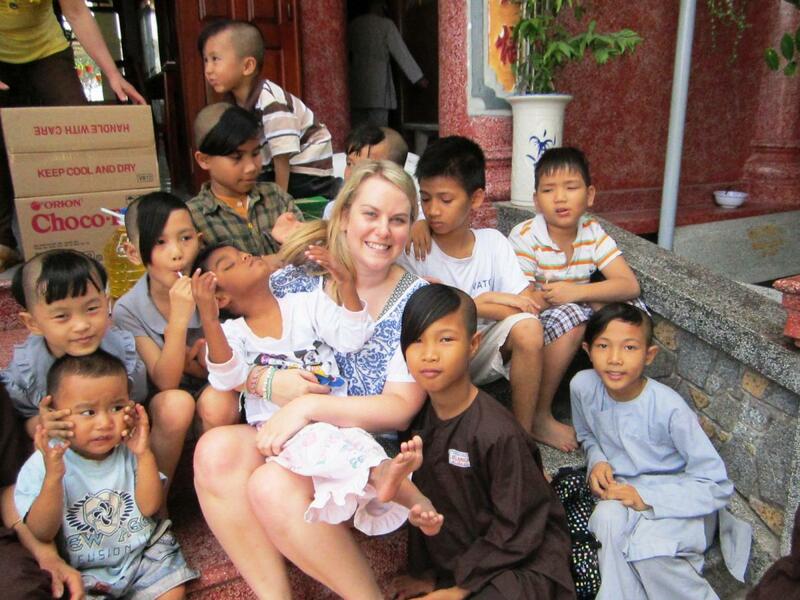 Nestled in the Tan Thanh fishing village along the coast, Hoa Sen provides free day care, pre-school, and kindergarten for the village’s children while the parents are at work, and offers free tutoring to primary and secondary students in the village. 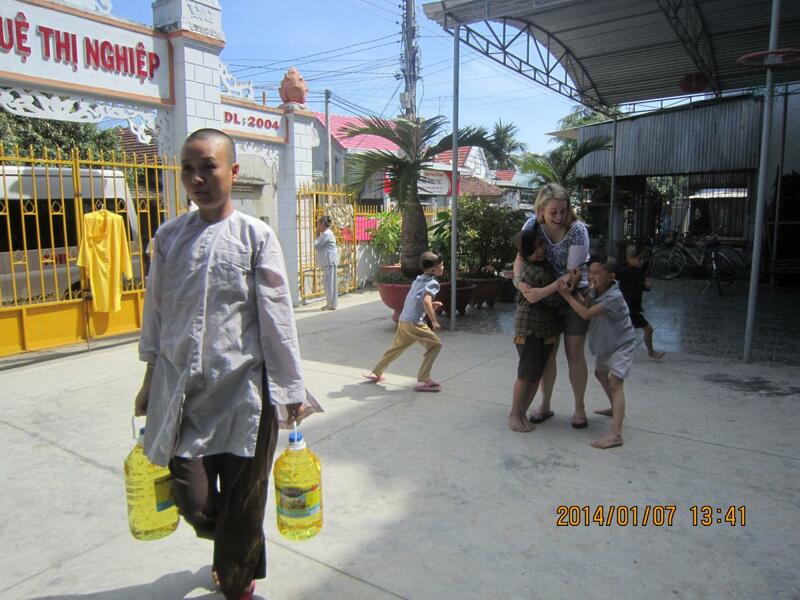 Breakfast and lunch are given to the children in their care, and after contacting the nuns at Hoa Sen we made sure to bring lots of food and snacks for the children. The third stop of the day was to the Kim Son Charity School. Located just north of Nha Trang, the school rests next to the beautiful grounds of the Kim Son Pagoda, with fruit gardens and statues in a peaceful environment. Kim Son provides free primary schooling for poor children in their region, and also offers free vocational training for those who wish to work as tailors and seamstresses. 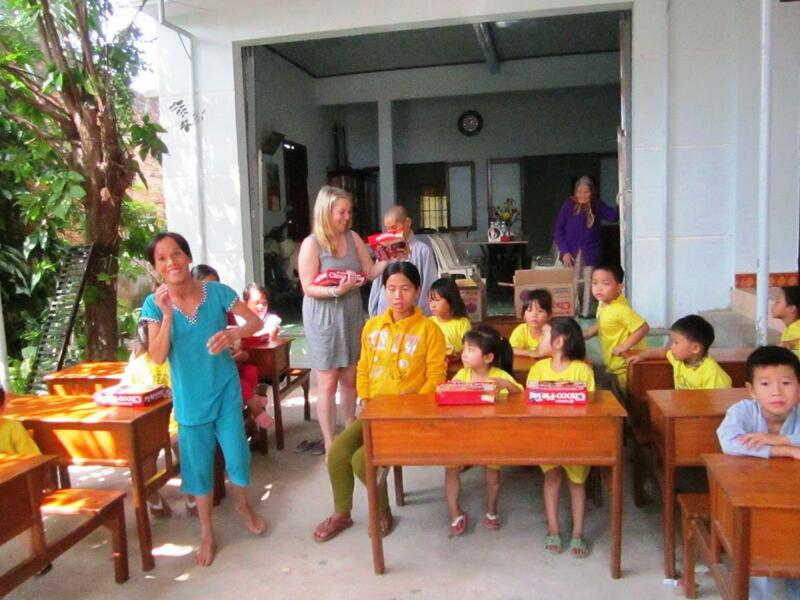 On the day’s visit, each child received a gift package of food and snacks to take home with them. A busy day full of love and compassion! 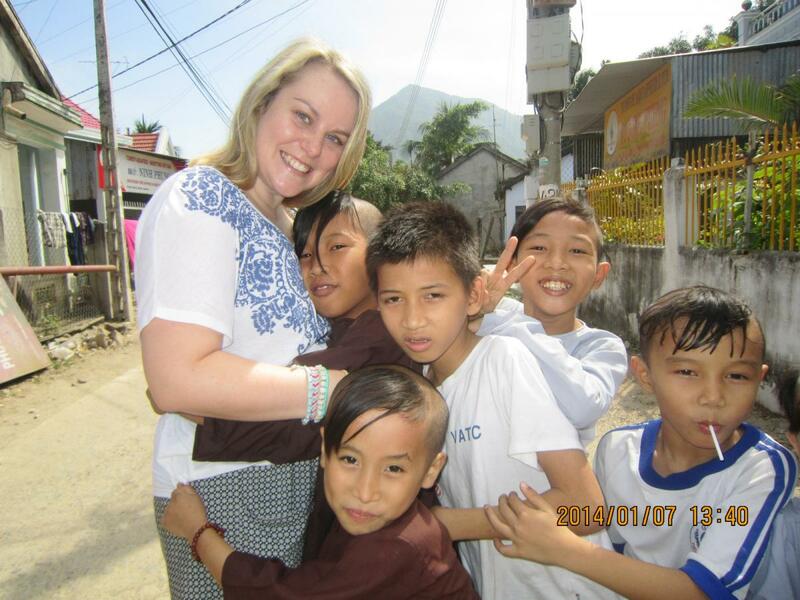 Thank you Lucette for keeping these wonderful children close to your heart! Thanks to everyone at the Quan Am Foundation in New Zealand!